Gloria Lien is the founder of Gloria Publishing. For her daughter's baptism, she wrote "Make This Child Yours". The requests for copies came for several years--until she realized she (and others) had spent over $100 making copies of it. She went to a local printer and had professional sheet music done. Now, 21 years later, requests for it still come. She was amazed since it was such a simple song. People would often hum the first couple of phrases after having heard it several weeks before. She finally realized that people want singable, memorable music to relate to their lives. 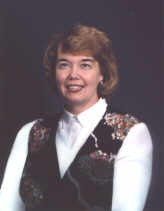 As former Director of Music at Calvary Lutheran Church in Willmar, MN, and presently choir director at Lord of Life Lutheran Church in Sun City West, AZ,she often spends a lot of time looking for an appropriate piece of music to highlight the gospel text and sermon. Many times, she cannot find a song or she has difficulty finding the composer and getting permission. Therefore, she has written many songs which tie closely with the lesson of the day. She also is giving copyright permission to use her music for worship services within the congregation that have bought it. As a former music teacher in the public schools, kindergarten through grade 12, general music, choirs and bands, she has a strong love for children and young people, as well as adults... She believes music should be relevant and easy to learn. Music should be as much a part of life as breathing. May you find yourself singing her music days later and the lyrics refreshing and easy to remember.